Spain's Supreme Court on Thursday asked for nine Catalan separatist leaders jailed for their role in the 2017 independence bid to be transferred to Madrid so they can be tried in "the last week" of January. 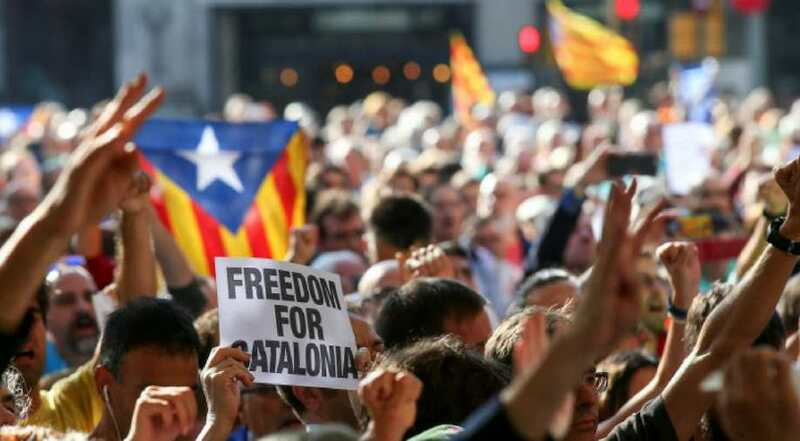 The date of the much-anticipated trial, which is likely to revive tensions between Catalonia and Spain's central government, has not yet been set. But according to one lawyers' firm defending the separatists, it could start on January 29 or February 4. In a letter addressed to Interior Minister Fernando Grande-Marlaska, the Supreme Court asked for their transfer from the northeastern region of Catalonia to guarantee they are "at the disposal" of the court "the last week of the month of January." A total of 12 Catalan leaders -- nine of whom are in pre-trial detention -- will be in the dock. Prosecutors have asked for between seven and 25 years jail for rebellion and/or misuse of public funds. Another six who are accused of disobedience will be tried in Catalonia. In pre-trial detention for over a year, Catalonia's former vice president Oriol Junqueras faces the highest sentence -- 25 years in jail. The region's former president Carles Puigdemont -- who is also accused of rebellion over his role in the separatist drive and is in self-imposed exile in Belgium -- is not among the group because Spain does not allow trials in absentia. Catalonia's parliament declared independence on October 27, 2017 following a banned secession referendum that was marred by violence as national police tried to stop voters from casting their ballots. Puigdemont and fellow separatists have all denied any wrongdoing, saying the October 1, 2017 plebiscite gave them the authority to break away from Spain.